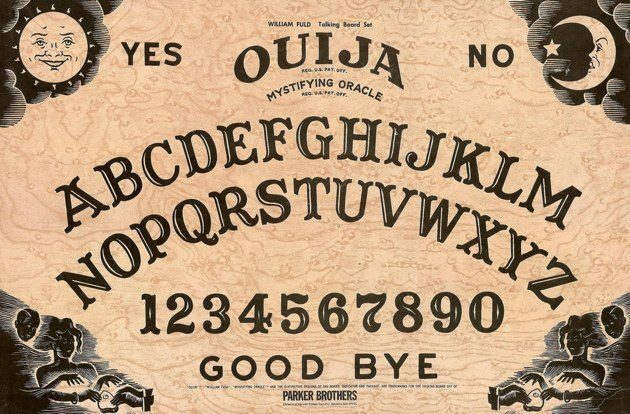 Variety reports that Knowing screenwriters Juliet Snowden and Stiles White will do both the scripting and directing honors for co-producers Michael Bay and Jason Blum, the latter of whose Paranormal Activity franchise will serve as the "high-concept, low-budget model" for Ouija. OK? I mean, I have difficulty envisioning anything engineered to move a board game off Wal-Mart shelves as "high-concept," but low-budget, sure: Previous reports put the project's budget, whose previous incarnation at the 'Mount totaled a very, very ill-advised $150 million, at under $10 million. And even that might be too much under the circumstances — didn't Breaking Bad already corner the market on foreboding uses of Ouija? Just bring back the Salamanca cousins! I think a low-concept, high-budget film based on Jenga and directed by Michael Bay would be a lot better. Just my opinion, though. OF UGH. BATTLE FOR THE PLANET BENEATH UGH.